The Park Design Subcommittee had some notes on the final plan for the PHR Community Park & Recreation Center, you can read them in the Meeting Minutes for Jan 14, 2016. Remember, the design will be sent to the Carmel Valley Recreation Council (CVRC) for approval. The next meeting is on Tuesday, February 2, 2016 at 7:00 pm at the Carmel Valley Recreation Center (3777 Townsgate Drive). For additional information, please see the Proposed PHR Park Site Plan, Proposed Image Boards, Proposed Architectural Drawings. 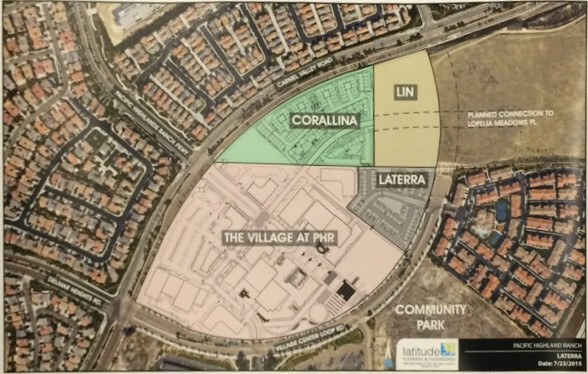 The final plan for the PHR Community Park & Recreation Center has been proposed, and now will be sent to the Carmel Valley Recreation Council (CVRC) for approval. The next meeting is on Tuesday, February 2, 2016 at 7:00 pm at the Carmel Valley Recreation Center (3777 Townsgate Drive). Please see the documents attached to this posting for details of the plans. The documents include: Proposed PHR Park Site Plan, Proposed Image Boards, Proposed Architectural Drawings. Additionally, the December 8 meeting minutes are included here FYI.